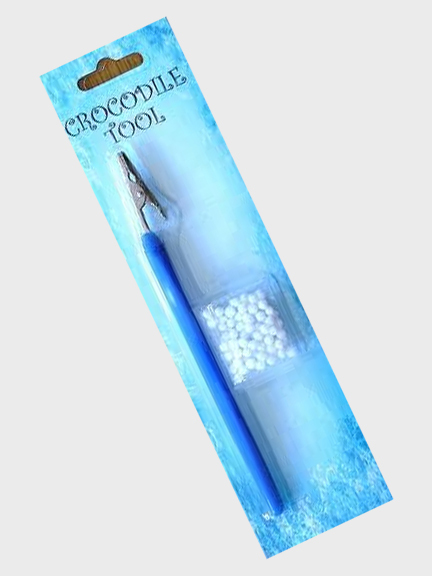 The Crocodile Tool is for applying ink/chalk to colour your cards using small cotton pompoms. Comes with a package of pompoms To use pick up pompom with the crocodile tool then dab into the ink pad and apply to your embossed design. Tip: Put a base colour of white ink/chalk down first.